A Perfect Fit as easy as 1, 2, 3. Our three step process is as easy as it gets. Taking your own dental impression is EASY (and you do not need to pay a dentist hundreds of dollars to do it).We will send you a plastic tray, dental putty, & a prepaid envelope to mail back to us.You need to have a timer, clean hands, & good solid teeth. No braces. Seriously, putty & braces do not mix. We mail out an impression kit to you (mixing putty & a tray). You take your own impression & using the prepaid envelope, mail it back to us. 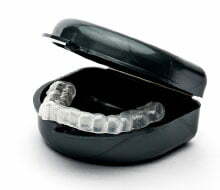 Upon receipt of your impression, we will fabricate your new custom fit night guard within 8-12 business days. That’s it! 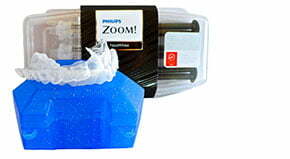 Want your Sentinel Dental Night Guard faster? Choose the expedited shipping option at checkout. This service includes all inclusive USPS Priority Shipping + a (2) business day turnaround time ($75 additional charge). Don’t know whether to choose a dental night guard for your upper or lower teeth? This article on which to choose will help guide you! What You Get With Each Order.